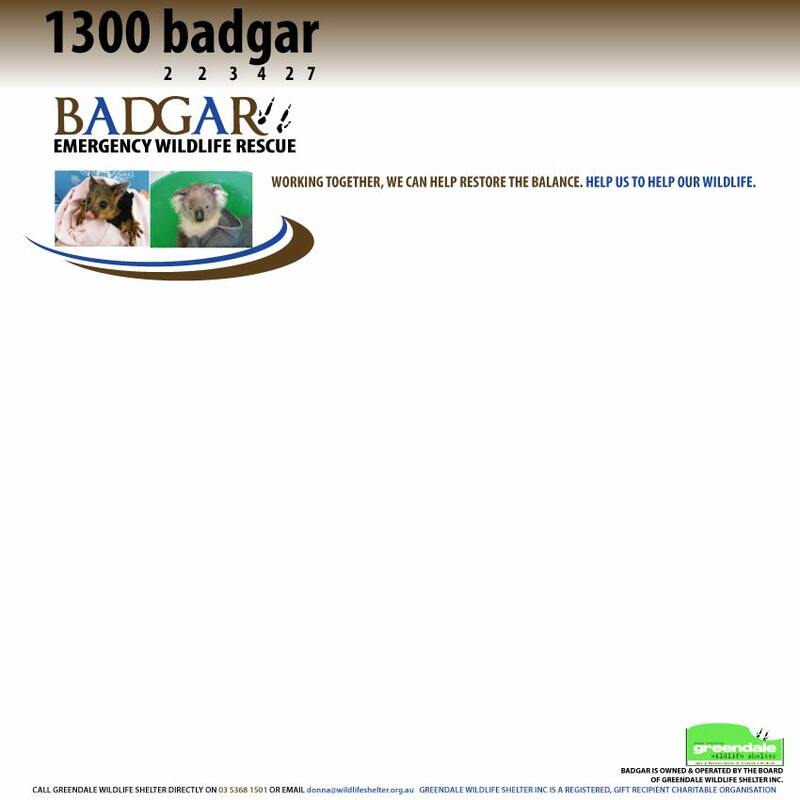 B ADGAR wildlife rescue works closely with all BADGAR affiliated groups in Victoria. We do not 'own' each group and we're keen to see individual local groups develop. That's why when another rescue group is affiliated with BADGAR, that group has free access to our TV advertising, print media and so on. All of our affiliated groups will be trained to the new BADGAR standard and carry BADGAR training accreditation, but they will of course stand proudly in their own right. Wildlife rescue in Victoria now has a stronger and more efficient force with BADGAR operations in Western Victoria, Geelong, the Surf Coast, Colac, Melbourne Metro, Gippsland, East Gippsland and further a field. BADGAR JIRRAHLINGA, SURF COAST & DISTRICT> We welcome Jirrahlinga and Tehree Gordon with her team of rescuers and rehabilitators. Beremboke Wildlife Shelter: An amazing website from a shelter dedicated to wildlife. Are you part of another wildlife group... would you like to affiliate with us? You can check the FAUNA SEARCH site for other groups around Australia. BADGAR is supported by Collins Media Advertising.